Although many people may think their dog's breed is the smartest, there is actually a list of the smartest dog breeds. University of British Columbia professor Dr. Stanley Coren's book, The Intelligence of Dogs, is considered the gold standard for determining canine intelligence. Check out the list to see if your dog made the cut. The Australian Cattle Dog is bred for herding cattle and was founded during the 1830's in Australia. Owners of Australian Cattle Dogs know this breed is easy to train and has the natural ability to drive cattle over large areas. Rottweilers are often thought of as a fierce guard dogs, but they are also loyal and active. This breed is best suited to owners who will commit to training and socializing their dog properly since the Rottweiler's loyalty and guarding manner does not bode well for uninvited guests. Like the Rottweiler, Papillons are possessive of their owners and work well as watch dogs. Their upright ears fringed with long flowing hair give them their name which means "butterfly" in French. A tiny dog, this breed weighs less than ten pounds when fully grown. Bred in Italy during the Renaissance, the Papillon was a favorite among nobles because of its high intelligence. The Labrador Retriever is a perennial favorite of families and hunters alike. These dogs are often used by organizations as seeing eye dogs or as search and rescue dogs. A large dog that requires regular exercise, this breed is friendly and easy to train. Shelties, like Australian Cattle dogs, are bred for herding and are more often used for herding sheep than cattle. Shetland Sheepdogs require regular exercise to keep from getting bored. A mid-sized dog, Shelties are extremely agile and are one of the most winning breeds in the sport of canine agility. Aggressive and fearless, Dobermans are used as part of many police canine units due to their ability to learn quickly and run for long periods. This breed is also used as watch dogs because their alert nature and tendency to bark are perfect for security work. The Golden Retriever is very friendly. This breed is used as both seeing eye dogs and therapy dogs for nursing homes. Obedient to a fault and quick learners, Golden Retrievers were originally bred for hunting in the Scottish highlands. While not at the top of the list, the German Shepherd is top of the class in obedience training. Most commonly used for police and military canine units, this breed performs equally well with families and in professional settings. While perhaps mostly thought of as a lap dog or companion animal, the Poodle is actually extremely intelligent. Super easy to train, some Poodle owners insist their dog understands everything they say. 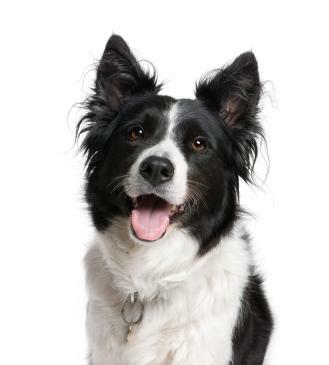 Hands down, the Border Collie is #1 on a list of the smartest dog breeds. Bred for herding livestock during the 1800s in Great Britain, this breed has high energy and incredible stamina. Weather is rarely a deterrent, and the Border Collie's natural instinct combined with superior intellect makes it the smartest dog. Frequently seen in competition, the Border Collie is excellent at both agility and obstacle courses and performs both with ease. The intelligence of this breed should not be overlooked, and care must be taken to keep the dog active so that boredom does not cause the dog to become destructive. Whether or not your dog's breed made the top ten, there are, of course, variations in intelligence from dog to dog. As long as the dog is loved and well cared for, training should not be overly difficult. Start early when the dog is still a pup for the best results because the adage, "You can't teach an old dog new tricks," does have some merit.